Hello, hello, helloooooo, and welcome back to my blog! Today I have a product review, from a company that I have been LOVING! 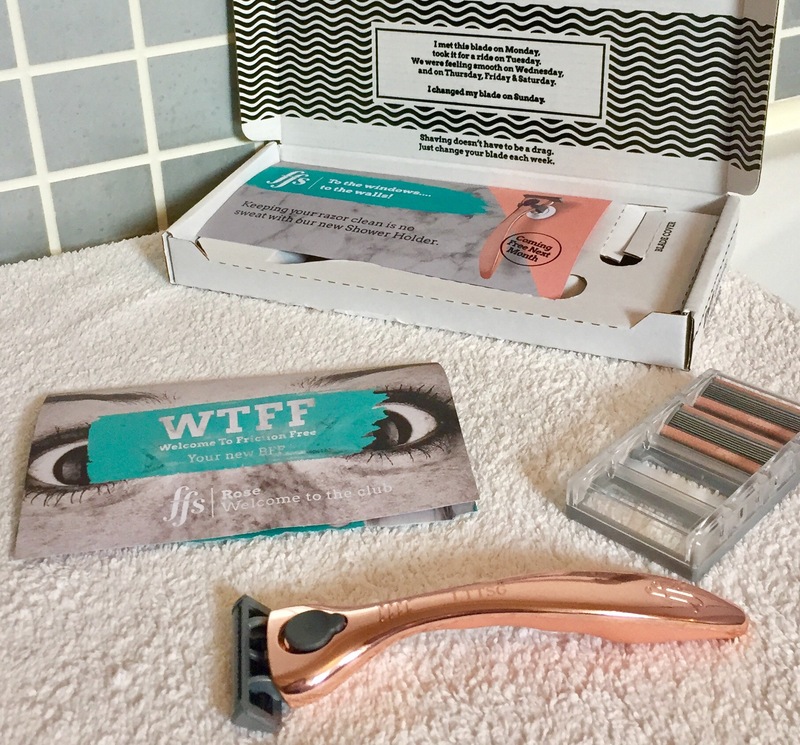 FFS (Friction Free Shaving) is a monthly subscription service. Starting at £5 a month, the idea behind the company is that, once a month you will receive a box with 4 razor heads inside, one for each week of the month. This way, you never forget to buy new razor heads, and you can change the head each week, making shaving much more hygienic! 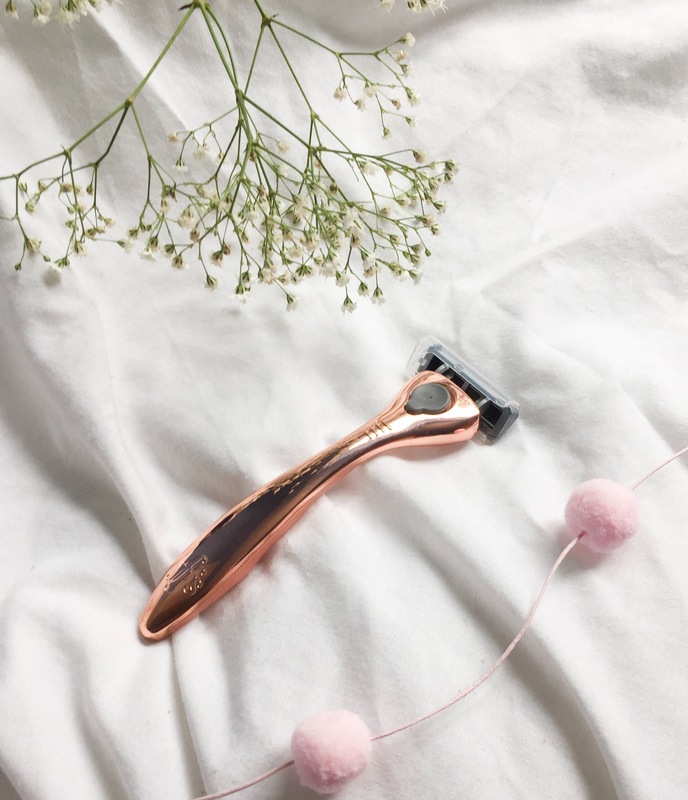 Before this post, I wasn’t actually aware of how often you should change your razor head, so this has definitely opened my eyes in terms of hygiene! You should change it after around 5-7 shaves. I opted for the ‘Rose’* option. 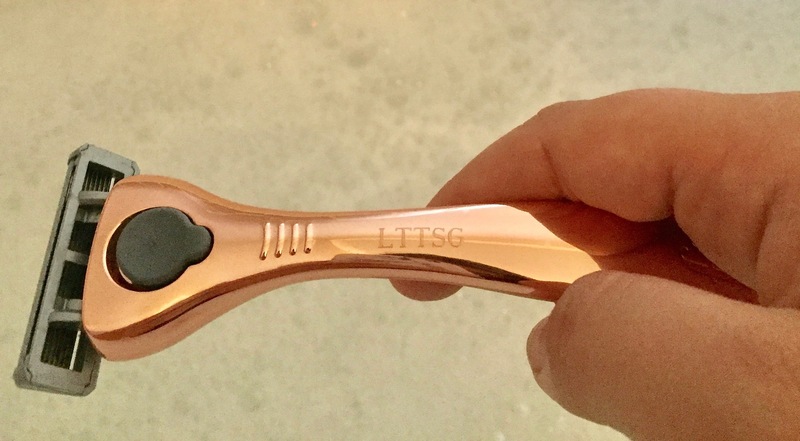 This features a stylish rose gold metal handle, which FFS even engraved for me with my blog name, so cute! And, a total bloggers dream right?! The metal handle is weighted and has a rubber underneath with grooves for your fingers, making it much more comfortable to hold and easier to reach those hard-to-get-bits. As I have an allergy to aloe vera, I often struggle to find a razor that is precise and doesn’t leave my skin feeling awfully dry. I’ve even tried men’s razors to no avail. However, this razor has literally changed my shaving experience! Enriched with Vitamin E, my skin really thanks me for using this product! I don’t think I could ever go back to the others now. I’ll just say it, the performance of this razor is unbeatable. Honestly, it’s the most precise thing I’ve ever used in terms of hair removal. And, I haven’t even told you the best thing about this company yet, they’re cruelty free! All of their razor range and shaving cream is leaping bunny certified, and suitable for vegans! I honestly just couldn’t love this brand more, I am an official #FFS convert! I mean, just watch their hilarious promo video. How could you not love this brand? At only £9 a month, this service is super affordable for me. Plus, there’s the option of opting for the £5 a month version with a white and pink plastic handle, total bargain! The only thing I would say, is that I’m not sure I’m going to be requiring a new razor head every week, as I don’t shave that regularly. However, once you have an account, you have the option to pause your subscription for a month, which is super handy and I shall definitely be utilising during winter (gotta grow out that fur for warmth ya know!). You can purchase your subscription, including an exclusive 25% off of your first purchase, HERE**, or using code ‘Hayley Snell’**. 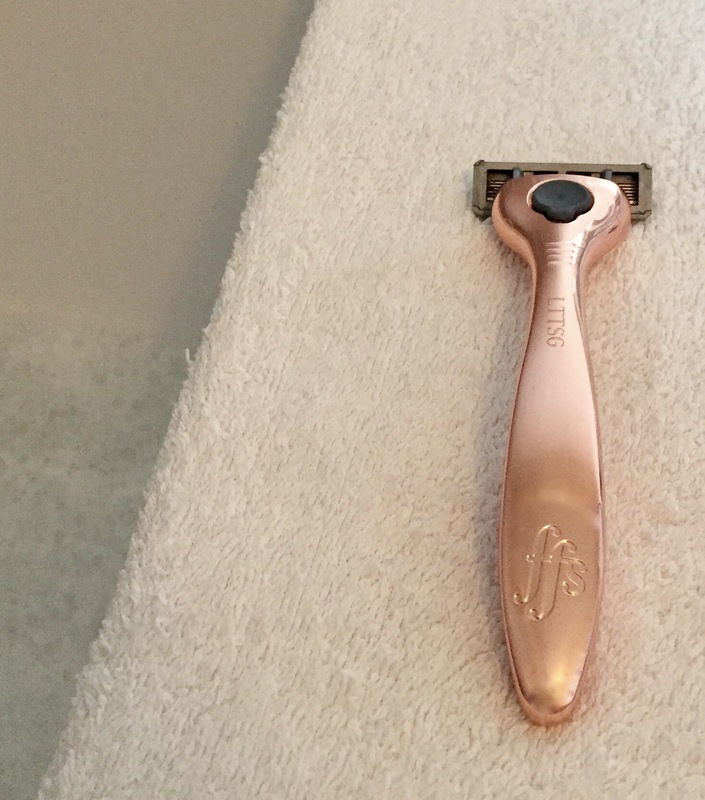 Now, I’m off to practice some #Shoga with my new #bloggergoals personalised rose gold razor! *Product sent in exchange for review. For more information see my Disclaimer. ** This is an affiliate link/code, meaning I receive a small portion of the profit from any purchases made following this link. For more information see my Disclaimer. 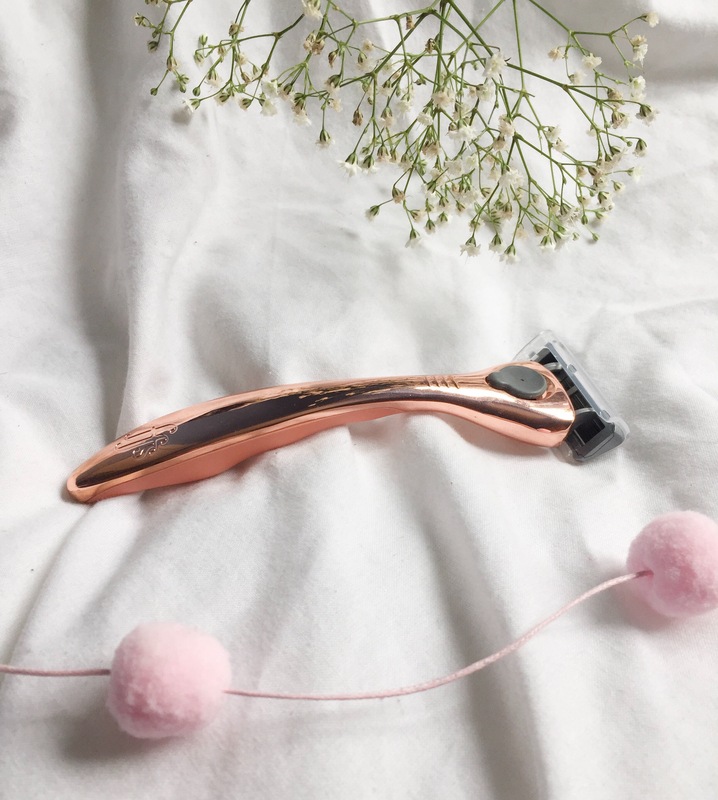 This sounds like a great prouduct and such an essential for all – like a dream come true really and honestly it is such a great price for what it’s offering and a great way to know when you should be changing your razors! 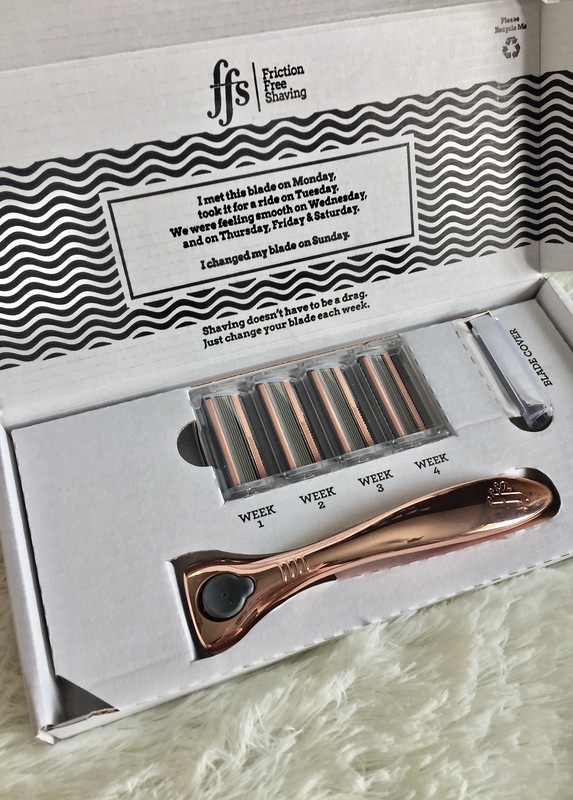 This sounds like a shaving subscription that I need in my life! 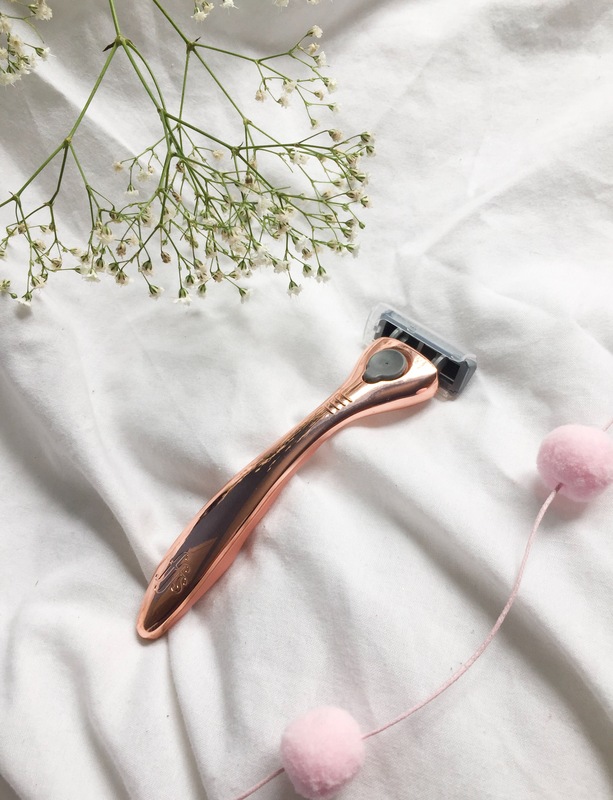 The rose gold handle that you picked out is beautiful and your photos are just stunning, big round of applause for how much you’ve upped your photography game lately, I’m so impressed! 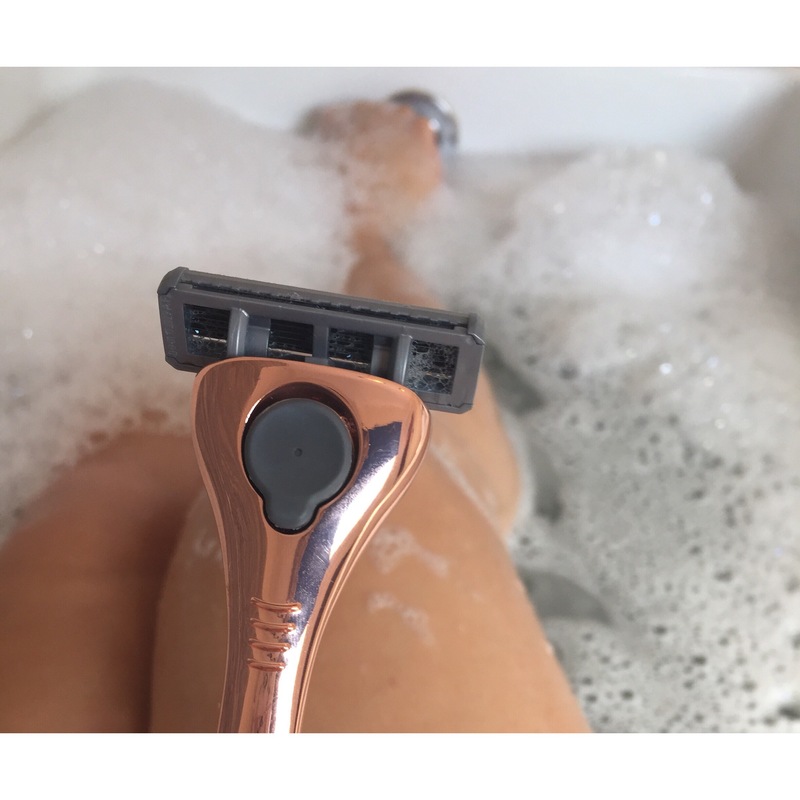 Like you, I’m not convinced that I’d need a new razor head every week because I don’t get that fuzzy (luckily haha) and I rarely ever shave my legs, so the fact that you can pause your subscription is ideal! Thanks very much for sharing this fab review and all your lovely images! I am intrigued by the funny promo video so I’m off to watch that now! Great post! I have to say I’m really impressed with the rose gold colour and the packaging is fab too. It’s so cool that you got your blog name engraved on it too! Next Post FAQs- Questions that I'm often asked!